Springs arrival brings new shades to landscapes and kitchens blossom with new refreshing and colorful dishes. Tartare is an interesting alternative either as a main course or as an appetizer and very easy to prepare. It can be made of meat or fish but our proposal is made of the delightful Corvina REX Frescamar together with other ingredients the give it a very special touch. 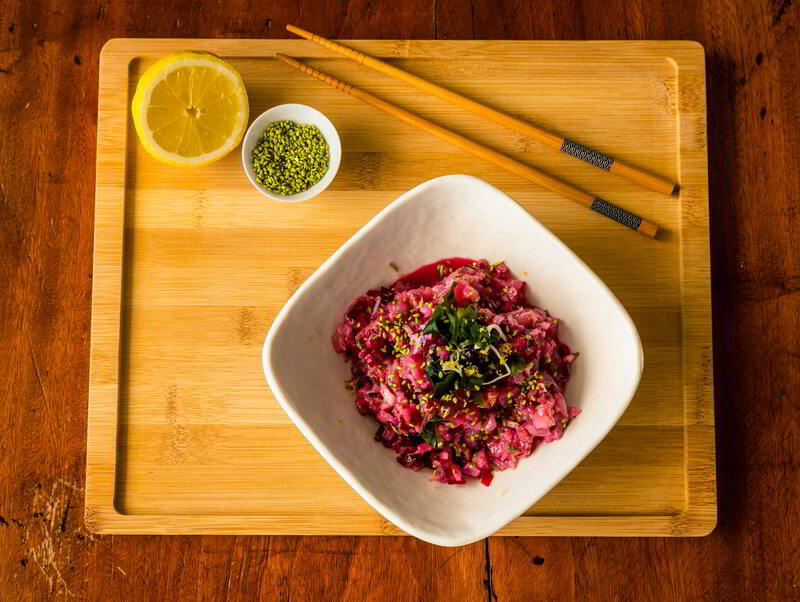 Beet and purple onion provide colorfulness and an oriental vinaigrette –made of soybean sauce, rice vinegar and sesame oil– gives an exotic trace to our recipe. Over a plate or over a toast, this tartare is perfect for spring or summer days. ADVICE: since it is a dish made from raw it is recommended to eat it immediately after elaboration.